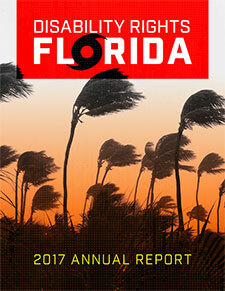 Disability Rights Florida is pleased to announce the release of our 2017 Annual Report (PDF). You can download our report and many other documents on our Publications page. Several client success stories are also represented in the report. Hard copies of this report are also available and can be requested through our Online Contact Forms.